Fireworks are as synonymous with the Fourth of July holiday. From rural towns to metropolises, you’re sure to one of these spectacular shows in an area near you. Thanks to their complex patterns and varied color combinations (created through a special mixture of metals and compounds), fireworks also make great photographic subjects — yet they can also be challenging. It’s not difficult to get a decent shot of fireworks — your camera may even have a fireworks scene mode built in — but for the most control and the best results, you’ll need the proper equipment and a willingness to fiddle with your camera’s exposure settings. Here’s how to get the best fireworks photos this 4th of July — or any other holiday. It’s always a good idea to find out where in the sky the fireworks show will be before you head out to photograph it. If you can set up well before the event starts with a clear idea of where to aim your camera and how you’ll frame your shot, this will take away a lot of the guesswork. Sometimes it’s better include some context in your photos. If possible, try to position yourself upwind of the action. That way, all the smoke from the fireworks will blow away from you, keeping an open view of the sky in front of your camera so each successive round of explosions remains clearly visible. Also, look for unique perspectives. A parking garage might have an open roof you can access to get higher, or if the show takes place over water, there might be a tour boat that can get you closer to the action. While the contrast of bright colors against a solid black background makes for a dramatic image, sometimes it’s better include some context in your photos. Frame your shots a bit wider to include the skyline, landscape, or the gathering crowd. This will make your images more interesting and provide a sense of scale for the fireworks show. While we recommend using a DSLR or mirrorless camera for the best results, any camera — including a smartphone — will work. 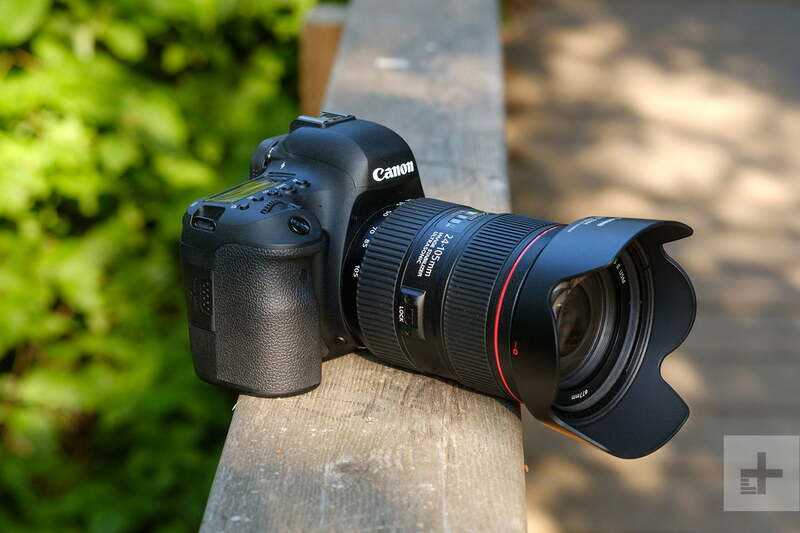 Advanced superzoom cameras, like the Sony RX10 series or Nikon Coolpixd P900, are also good choices as their long lenses offer a broad range of framing options without the hassle of swapping lenses (note: the Sony offers stronger performance). We also recommend shooting in manual exposure mode so you can get consistent and predictable results, but this isn’t expressly necessary. If you do go out with an interchangeable lens camera, whether DSLR or mirrorless, think about what lens you’ll use to photograph fireworks before they start exploding. 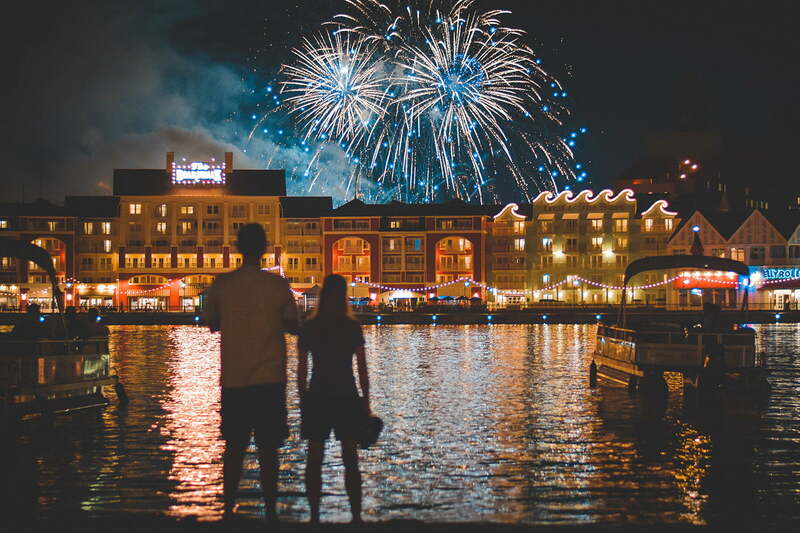 Depending on how far away you are, the altitude of the fireworks, and whether you want to include some of the surrounding environment in your photos, you may want to use a wide-angle, normal, or even a telephoto lens. 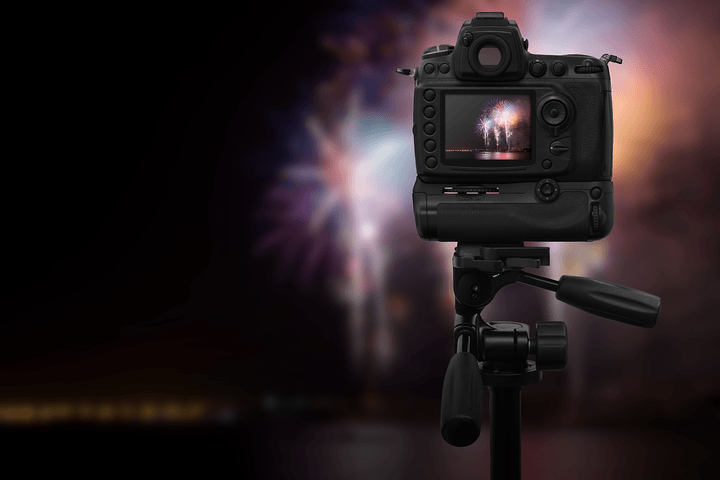 Using a tripod is all but necessary to capture clear and sharp photos of fireworks. Adding some context into your fireworks photos is never a bad idea, and wide-angle lenses are good for this. Telephoto lenses will let you zero in on details or focus on a specific background element (like a single building, rather than a full cityscape) to frame the fireworks. If possible, bring a couple different choices so you can try out various different shots, but keep in mind that swapping lenses during the show might not be the easiest thing to do without missing good moments. Using a tripod is all but necessary to capture clear and sharp photos of fireworks, especially when using a longer lens. A tripod will also let you use a slower shutter speed so you can get creative, capturing long streaks of light as the glowing particles spread out into the night sky. If you don’t own a tripod or can’t buy one in time, there are other ways to stabilize your camera. Many cameras and lenses offer sophisticated image stabilization that allows you to shoot at shutter speeds down to 1/10th of a second or so — provided you have steady hands. Another option is to steady your camera on a pole, a railing, a wall, a table, or anything with an even surface. Something like a Gorillapod comes in handy for this. You can also just stick to faster shutter speeds as fireworks provide plenty of light, but you’ll sacrifice the creative options of long exposures if you do. If your camera gives you the option, simply turn autofocus off. If you leave it on, your camera’s autofocus system will likely “hunt” back and forth because it won’t have a clear object to lock onto. This could cause you to miss the shot completely. Instead, set your focus to some point in the distance. If there are other distant objects in your shot (such as a building or skyline), you can focus on those. Most DSLR lenses and some lenses for mirrorless cameras have a distance scale on the focus ring or in a separate window (as seen above in the Sigma 135mm F1.8). Chances are, the fireworks will be far enough away that you set your lens to the infinity (∞) position and adjust from there if necessary. The important thing is to not accidentally change the focus after you get everything set, so try not to bump the lens.